With winter in full swing many people are seeing huge spikes in their electric bill. This was me last year with my highest electric bill reaching almost five hundred dollars. Thanks to lots of comments from readers I was able to get my electric bill better under control. If you have electric heat are are facing record high electric bills here are some ways you can save. If you have more than one electricity service provider in your area the best thing you can do is compare electricity prices. The savings may not be huge but every little bit adds up. Another good thing about comparing service providers is that some offer budgeted billing plans while others do not. Last year when my bills were outrageous I got a ton of advice to get on my electric company’s budgeted billing plan. Budgeted billing plans are where the electric company will average your last year worth of electricity usage to come up with one constant monthly bill. For example, instead of paying $100 one month and $300 the next they would average your usage to where your bill never changes. At the end of the year the company will then look at your actual usage and send you a bill or refund check depending on your usage. If you are considered low income many companies also have special discount plans based on your income. The number one culprit for my sky high electric bills was the lack of insulation. I always knew insulation was important but didn’t recognize that poor insulation would add literally hundreds of dollars to an electric bill for a small home. In my experience getting your home properly insulated is the absolute best thing you can do to cut heating costs. 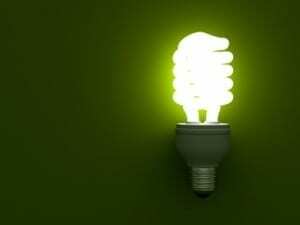 I think all of my light bulbs are now CFLs which are energy efficient. Switching out your light bulbs is just one small thing you can do to lower your electric costs. You can also make an effort to look for energy efficient products whenever you are in the market for new appliances. If you don’t have newer windows it’s a good idea to put window kits (plastic) around all of your windows. One little crack in a window can leak a ton of warm air and cost quite a bit in heating costs. You can also buy runners to put under the doors and caulk any other cracks in your home that are letting in air. What Do You Do to Save on Electric Costs? Putting up fleece curtains made a huge difference! I had some simple cotton panels. I bought fleece and cut it to size. ( Fleece doesn’t have to be hemmed because it doesn’t fray!) My curtains are the style that use clips to hang on a curtain rod. I just clipped the fleece panel and the cotton panel and I was done. I am so much warmer in my bedroom! One of the benefits of living in a condo is that the electric bill is relatively low compared to that of a house. Our average monthly bill is about $50. For now it’s enough space for us, we’re in no rush to move to a house yet! How I wish our area did not have to depend on only one electricity service provider. Sadly it is monopolized by only one company. Switching to CFL bulbs helped us immensely though. I live in Ontario where there is a monopoly. The more we conserve the higher the bills get. They keep increasing costs to make up for people using less. They mismanaged the company for a bunch of years so now they have added on to our bills a debt repayment cost. The users have to pay off the debt they incurred. It’s very frustrating but we have no where else to go for our electricity. you should publish more on this subject matter, it might not be a taboo subject but usually people do not speak about these subjects. Oh my gosh! I suddenly remembered my winter electric bill! I hate that season of the year! I’m planning early ahead reading articles on saving energy bill to make sure I won’t pay too much on our bill!